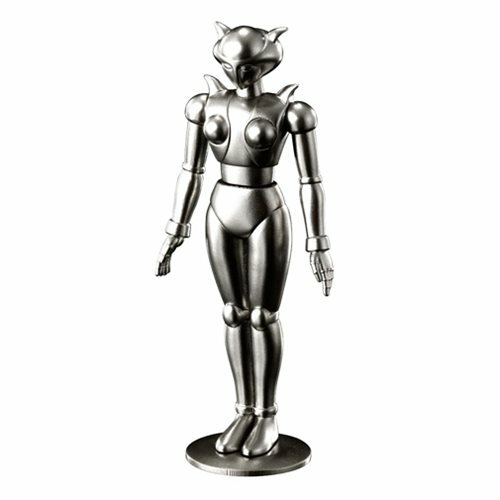 Introducing a miniature Chogokin series made completely from die-cast metal! Absolute Chogokin is a brand from Tamashii Nations that realizes the quality and detail of the original Chogokin brand on a smaller scale. Made from 100% composite metal, the heavy, cool metal and shine of the chrome are captured in 3-dimensional detail. Aphrodai A measures 3-inches tall. Ages 15 and up.